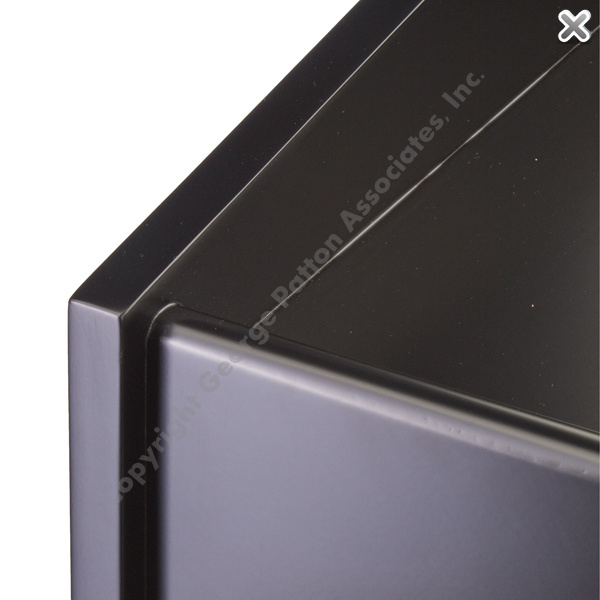 Assembles in Under 15 Mins. 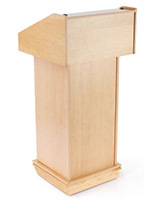 This portable wood lectern, also known as a laminate podium, has gold accents that suits an event in any venue, from a school auditorium to a hotel banquet hall. 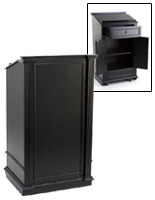 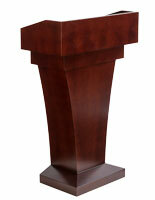 A veneer pulpit is an affordable way to stage an elegant presentation, and in-stock items can be same-day shipped. 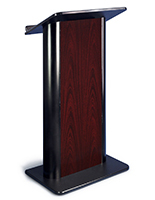 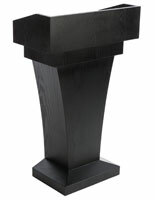 This wood lectern is among our convertible speaking fixtures with a generous writing surface for notes. 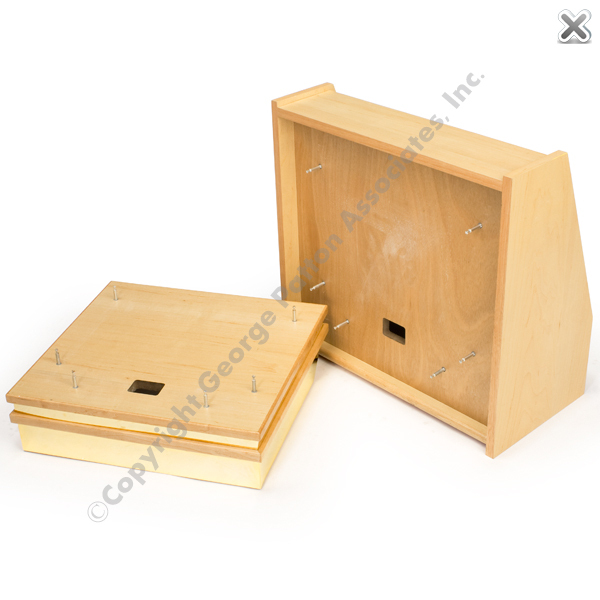 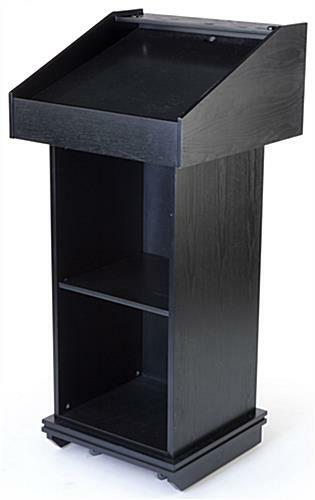 This pulpit, like a church podium, has an angled surface and 3/4" lip at the bottom so lecture materials will not slide off. 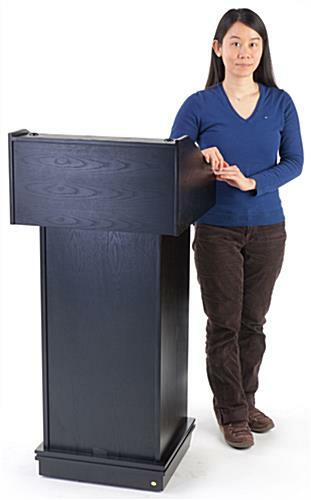 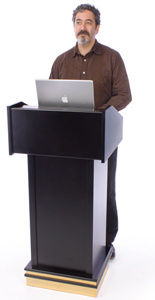 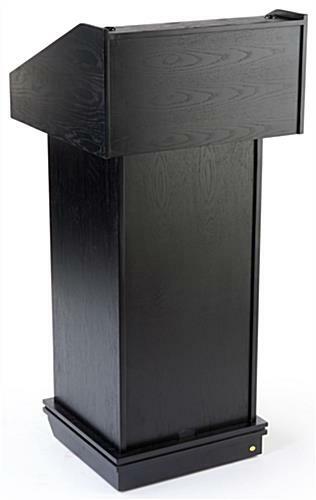 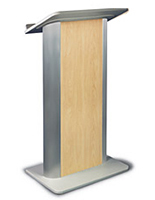 Convertible from tabletop to floor standing height, this laminate podium is extremely versatile. 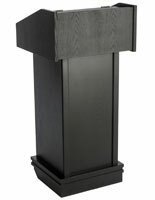 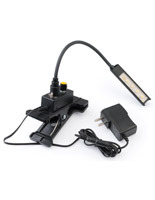 This fixture has an affordable veneer construction, two hidden casters, an adjustable shelf, and (7) adjustment settings. 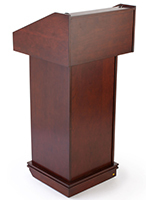 Cutouts from bottom to top enable wiring for a microphone or audio equipment.